The partnership aims to nurture micro-entrepreneurship opportunities by providing access to customised Hyundai and Kia vehicles as well as financing and insurance benefits for driver-partners; marks Hyundai's debut in fleet management operations. 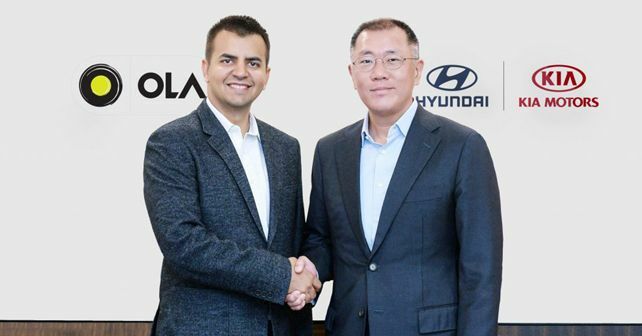 Hyundai Motor Group has recently announced a strategic partnership with Indian cab-hailing service giant Ola. Under this partnership, both Hyundai Motor Company and Kia Motors Corporation will invest heavily to generate cutting-edge solutions for its Smart Mobility endeavours. The agreement will see the three companies collaborate for figuring out strategies of vehicle development which will be India-specific and Ola's key role will be to scout and nurture best possible talent via its numerous aspiring driver partners. Further, the collaboration will also mark Hyundai's foray into fleet vehicle operations and management for the first time, expanding its focus beyond automotive manufacturing and sales. The partnership will also offer Ola drivers various financial services, including lease/instalment payments and insurance benefits. 'India is the centrepiece of Hyundai Motor Group’s strategy to gain leadership in the global mobility market and our partnership with Ola will certainly accelerate our efforts to transform into a Smart Mobility Solutions Provider,' said Euisun Chung, Executive Vice Chairman of Hyundai Motor Group. 'Hyundai will proactively respond to market changes and persistently innovate to deliver greater value to our customers,' he added. 'This partnership will also significantly benefit driver-partners on our platform, as we collaborate with Hyundai to build vehicles and solutions that enable sustainable earnings for millions of them, in the time to come,' he added.